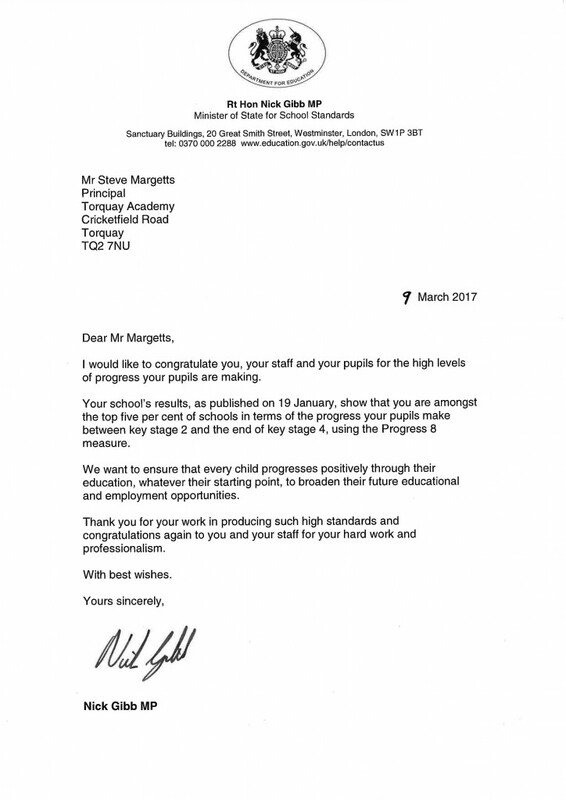 Acknowledging our incredible GCSE performance last summer which placed us as the second highest performing school in the South West, we received a letter this week from the Minister for Schools, Nick Gibb MP, congratulating us on the progress our students make. 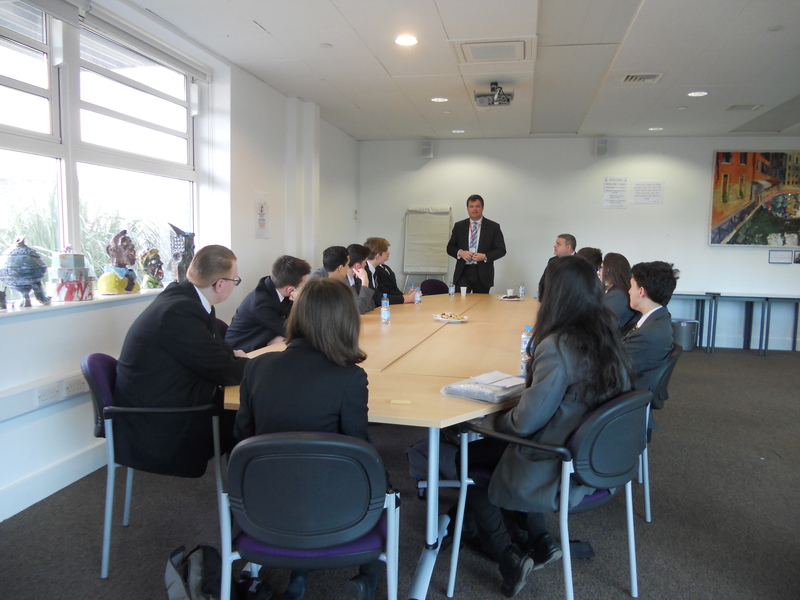 I was delighted to welcome Torbay’s MP, Kevin Foster, to the school for a tour and a question and answer session with students. He was very impressed with the quality of the lessons and students’ work as well as the calm and purposeful atmosphere around the school. 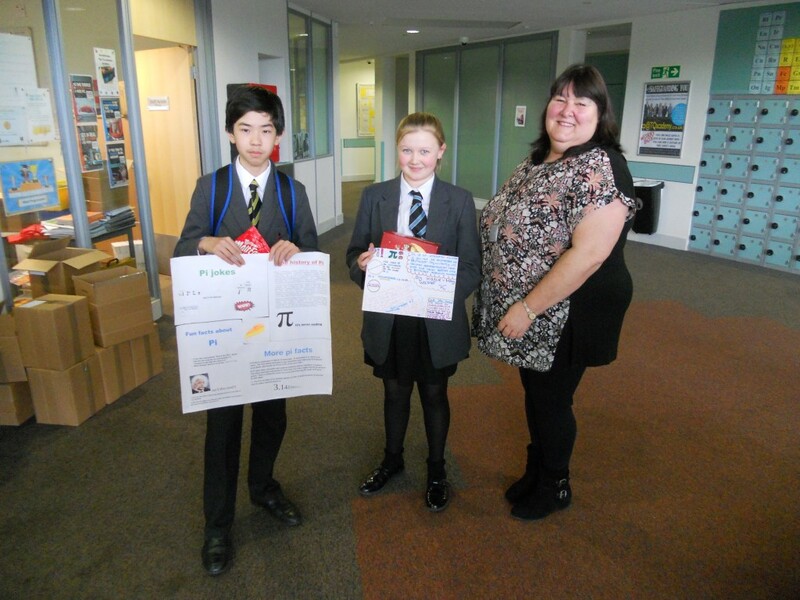 Pi Competition – not the Bake Off kind! On Tuesday 14th March the Team Maths celebrated Pi Day. Why is it called Pi Day? If you write the date in the format month then day, you get 3.14 which is a rounded value for Pi. 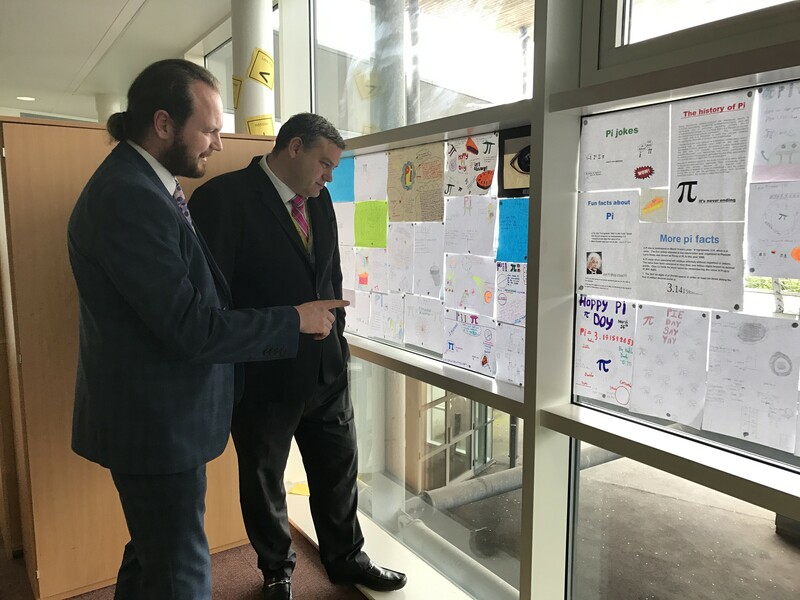 There was a Pi Day poster competition which was judged by me and Mr Thatcher. 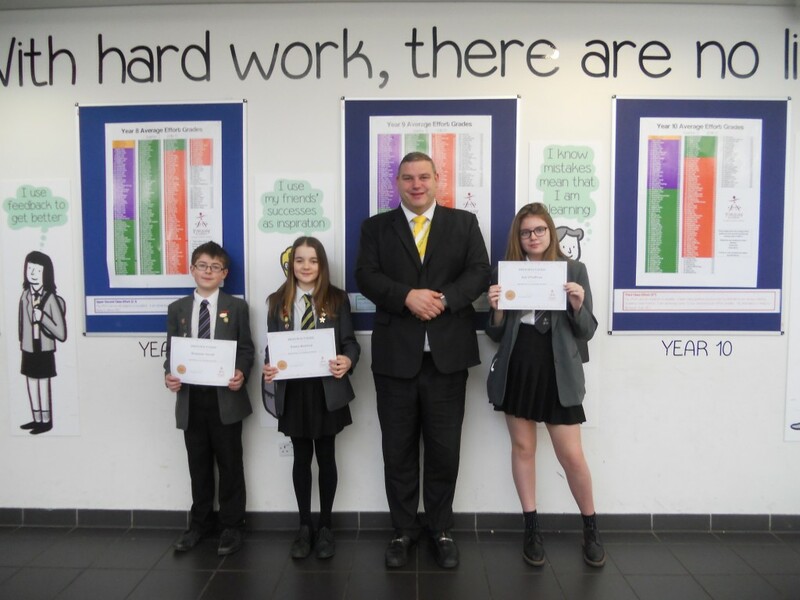 The overall winner was Katie-May Walker, with commendations for Keeley Bell, Tyler Urch and Daniil Sherry. Interesting facts included on the Pi Day posters were that it is Einstein’s birthday, Pi has been calculated to 2.7 trillion decimal places, and in Star Trek, Spock once foiled an evil computer by telling it to “compute to the last digit the value of pi”. 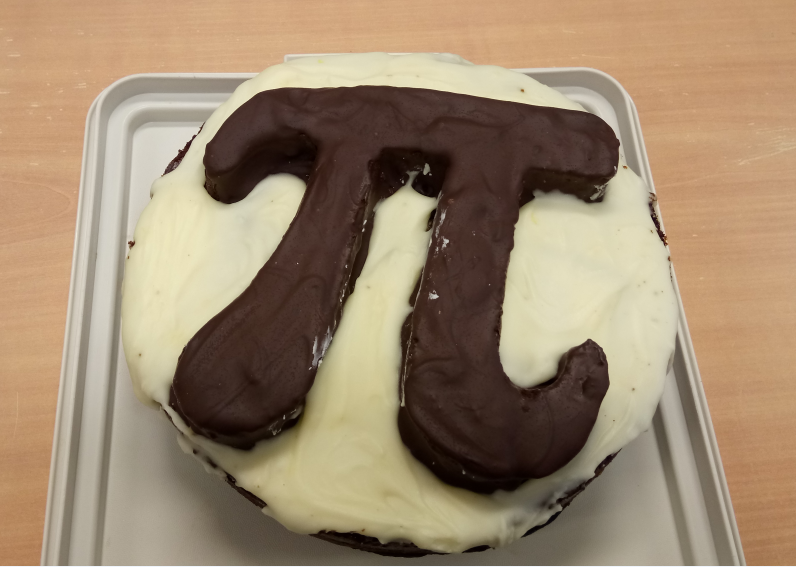 We also celebrated with a lovely Pi Day cake baked by Mrs Thomas. Tia Alcock Burness joined Book Quest at Torquay Library. It is a fun reading game where you journey the seas, through jungles and finally into space with lots of rewards along the way. She has just received a certificate and metal badge for having read 100 books. After reading a book she would visit the library and speak to a libraian about the books she had read. There are 3 levels and you have to read 100 books for each level so it’s quite a challenge. It’s not a competition so you can take as many years as you like. You get to chose the books you want to read and they can be fiction, non-fiction or even comics and magazines. When you join you will get a colourful folder, a log for recording the books you read and a plastic zip wallet to keep all your bits safe. Each time you visit the library, friendly library staff will talk to you about the books you have read and give you rewards as you reach different stages. There are also a few challenges along the way but they are all fun and help you to learn more about books, authors and how the library works. When you complete each stage, you will win a certificate and metal badge. 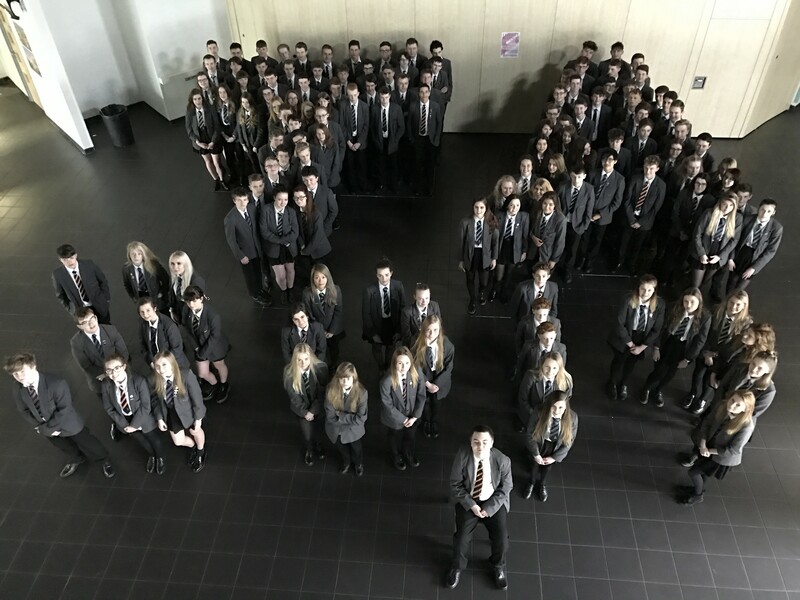 On Wednesday morning the Year 11s gathered for a photograph to go into their Year Book. They are such an impressive group of students who are working so hard to achieve their target grades. We were invited to attend the ‘Men in White’ event at the medical school in Exeter. 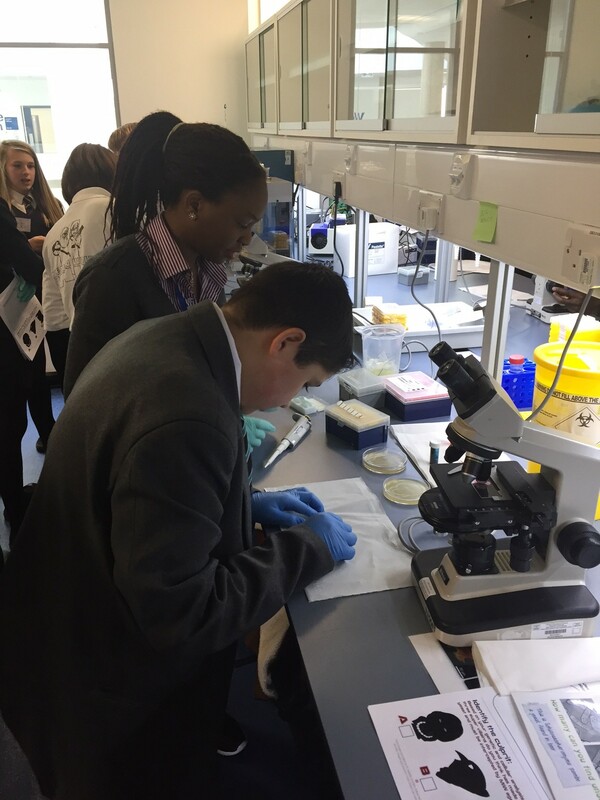 The students were given the opportunity to visit and work within a real research laboratory and had a session from the clinical staff. The theme of the day was diabetes. They looked at how mutations within genes can affect a patient’s ability to control blood glucose levels. 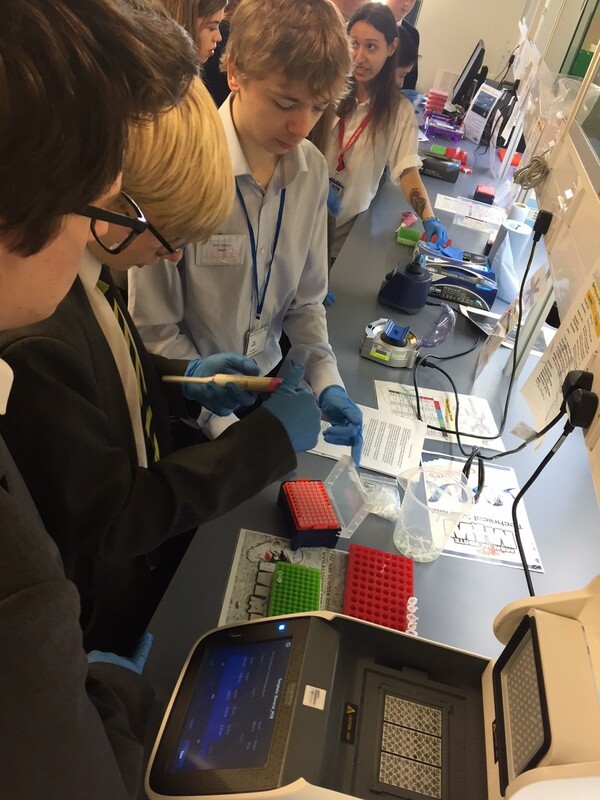 The students also looked at cells under a microscope, ran a PCR to amplify the gene number and also tested their own blood glucose levels. It was an amazing day and a great experience for the students who got to see what life at university and as a scientist is like. This week we had our final PSHEe day for this year. As usual the students took part in a range of different activities. The day for the Year 7s was roughly based on relationships with sessions on ‘keeping friends’, ‘peer pressure’ and ‘gender stereotyping’. We also looked at the loss of relationships and bereavement. Proud2be worked with students once again to promote acceptance of an individuals sexual orientation. Caragh Sanders-Wright, a dietician with the NHS, talked about healthy eating and portion control. Solomon Theatre Company bought ‘The Power Of Love’ to the Year 8 and 9 students. This explores the different dynamics of relationships from the types and balances of power (strength), to the different degrees of trust, as well as what makes things go right/wrong. Following the PSHE guide for KS4, Solomon Theatre explore how to handle the portfolio of relationships we have and understand the ways in which abuse can occur and where to go for support. The Red Cross taught ‘Everyday First aid’ to our students who all learnt how to do CPR. They also studied the issues surrounding the abuse of alcohol and drugs and which habits they should try to introduce to improve their mental and physical health. The PCSOs talked through the personal and legal issues of sexting. 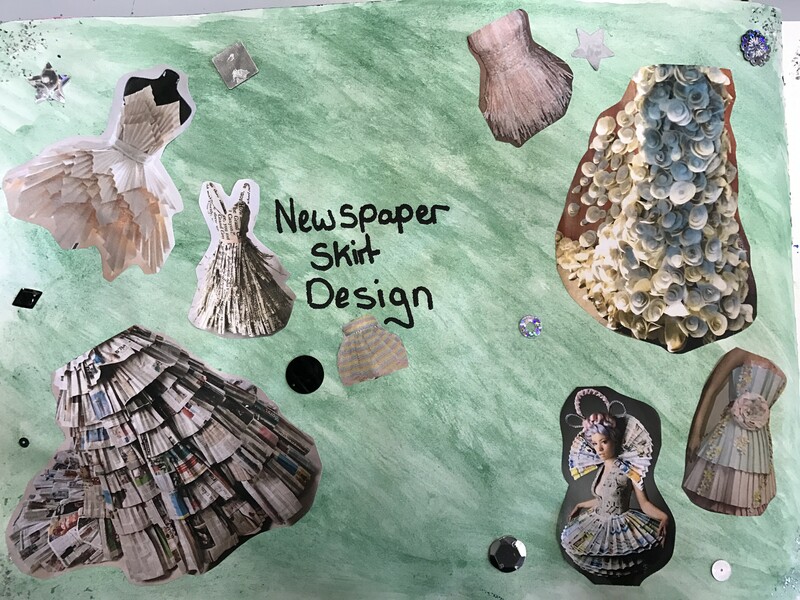 The Year 9 students had an introduction into money, looking at how they can expect to be paid and the advantages and problems of credit cards. The afternoon looked at the issues of knife crime- why people carry knives and the consequences of doing so. 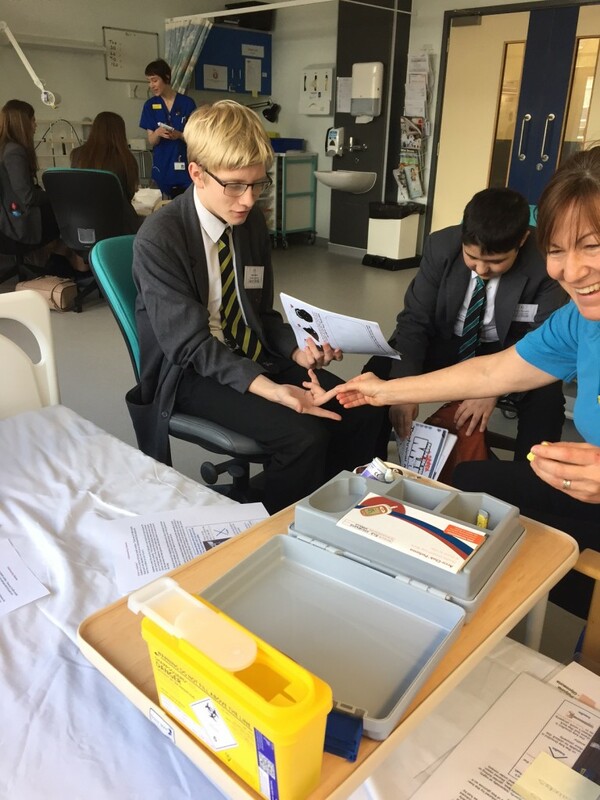 The Year 10 students also looked at knife crime, but also had a series of visitors. Sian Doyle from the Rotary Club and Father Paul Jones introduced the difficult topic of bereavement and funeral planning. The Fire Service prepared our students for driving cars in the future by highlighting safety concerns, especially that of texting behind the wheel. Andy Dunn had a frank talk with students about his journey through depression and anxiety and struggles with his sexuality. 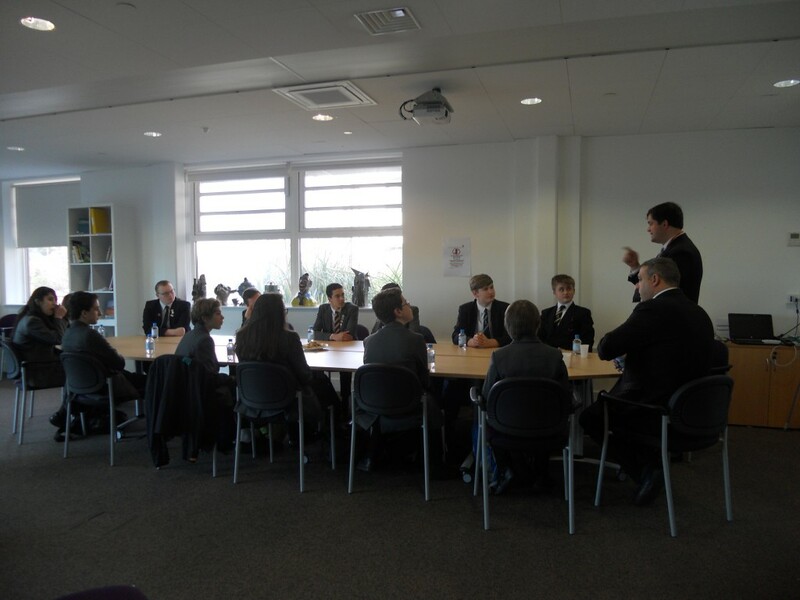 The Army took students through teamwork and employability skills. Overall a very enjoyable and informative day. 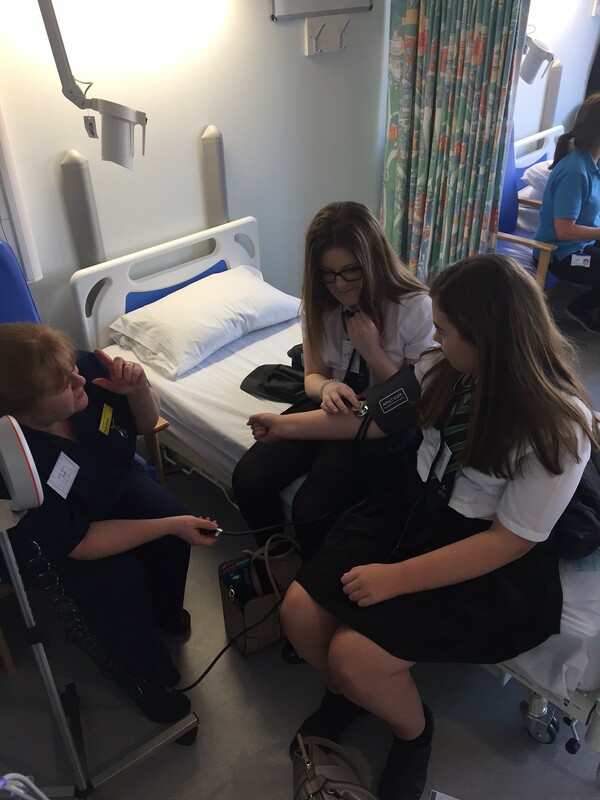 Sixth form students participated in and enjoyed an action packed PSHE day on Wednesday. The morning started with a presentation for Year 12 students on UniFrog. This website allows our students to look at a wide variety of universities, courses and entry requirements. Students can look at apprenticeship options, build a CV, and compile a personal statement to name but a few things. Essentially, it is a really beneficial tool that will help our students consider and prepare their career paths when they leave Torquay Academy. Following this, both Year 12 & 13 received a talk from Tim Lloyd, a Training Coordinator for Skills group who discussed apprenticeship options and the benefits if students weren’t pursuing a place in university. Many students found this particularly useful and took the advice offered on board. Following a break, students took part in a carousel timetable which provided them with the opportunity to develop their life skills. Mrs Knowles ran a session based around relaxation! Students learnt different breathing techniques to help them relax which will help them relax before an exam or to go to sleep. They used oils to massage each other’s hands, again with the purpose of helping them relax. As you can see, students really enjoyed these sessions! Mrs Haines ran a relationship discussion with students. It was really pleasing to hear their thoughts on what was and wasn’t considered to be a healthy relationship. There were many honest thoughts and opinions offered throughout the day. It was really interesting to listen to their views on how social media impacted upon relationships, an aspect that certainly people of my generation did not have to contend with. 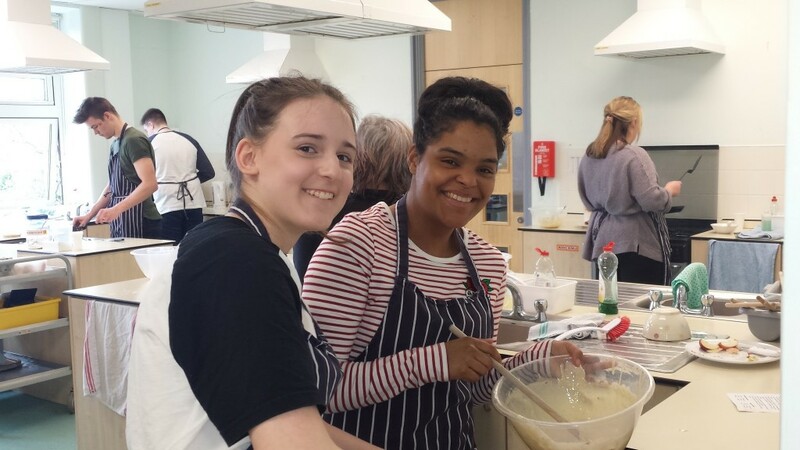 Cooking was another option on our PSHE menu (no pun intended!) Students had the opportunity to make pancakes with Mr Hadley and omelettes with Mrs Verdon. 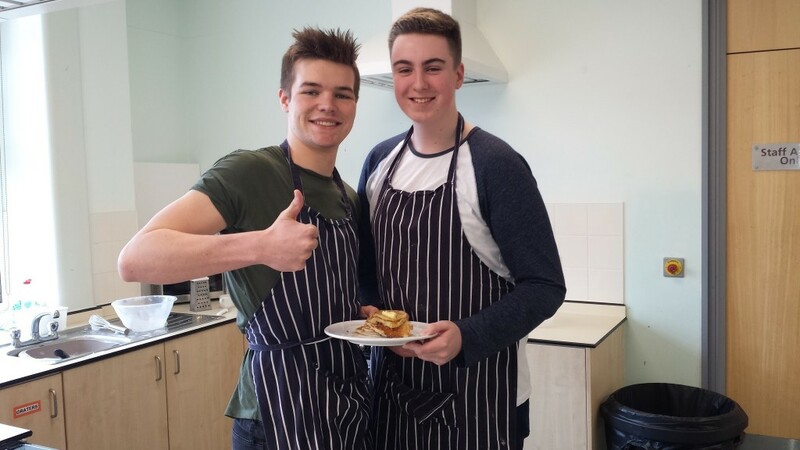 It would be fair to say, some students mastered the culinary arts better than others! Physical exercise is so important for a healthy mind and body! With this in mind, we enlisted the help of the Army to provide some problem solving, communication and team working activities. 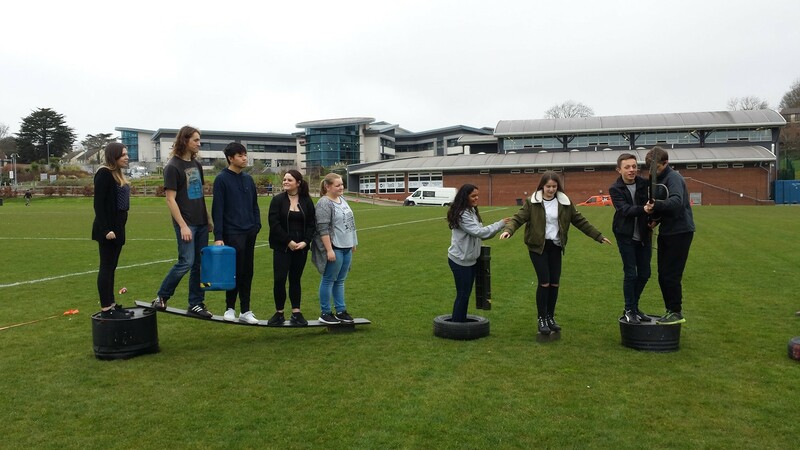 Students had great fun completing these challenges and the Army team were so impressed by our students and their willingness to get involved, which isn’t always the case at other schools. Our PSHE day was a huge success and we would like to thank all of Year 12 & 13, teachers and visitors for making it so good! 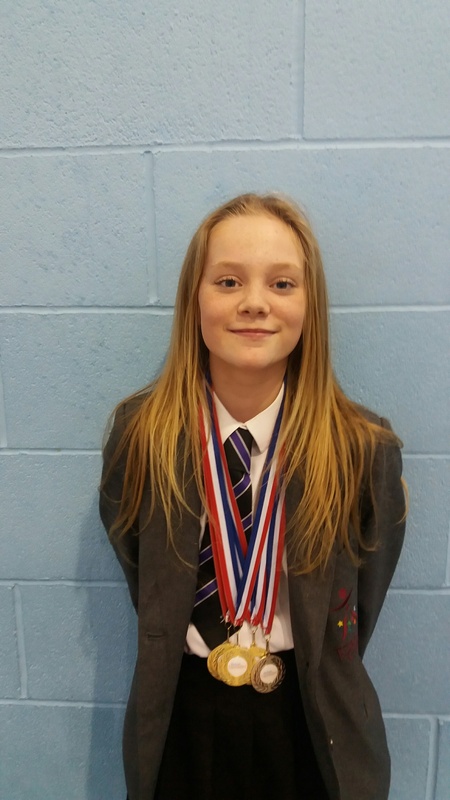 Year 7 pupil Paige Summerhayes recently competed in the 2017 English Riviera South Devon Championships and amassed a whopping 4 medals , 3 gold and 1 silver. She had to perform routines in the following disciplines , Vault ( 2 nd ) , Floor ( 1st ) , and Beam ( 1st ). This led to her gaining the overall Gold out of 150 gymnasts who competed. 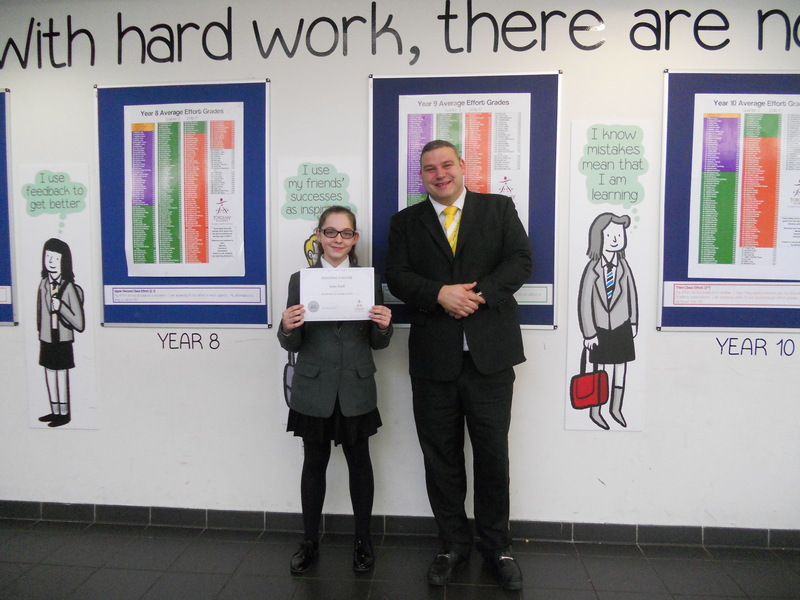 Well Done Paige, fantastic achievement. 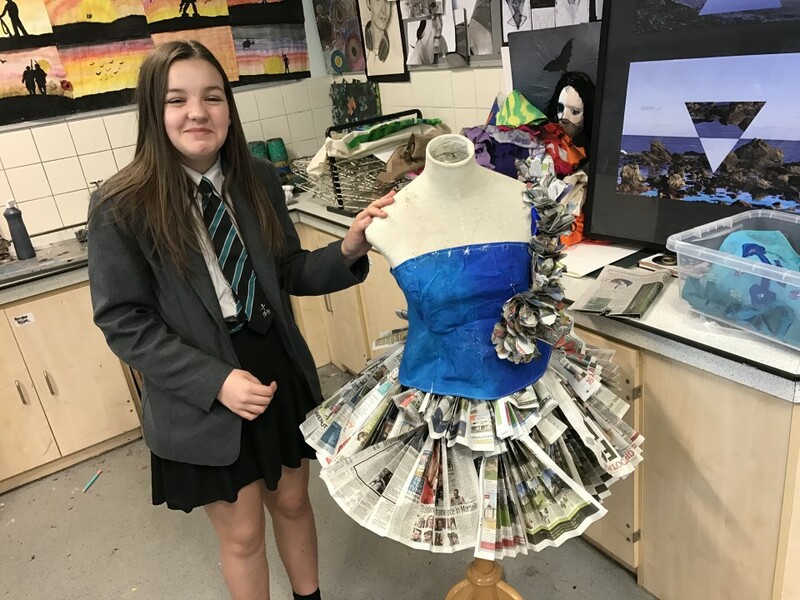 Year 9 Student Rhiannon Bratcher stands besides her paper skirt design which she has created. The photograph doesn’t do justice to the intricate sewing of the newspaper; it is a very impressive piece of work. 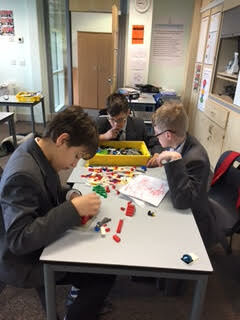 These photos show some of our students from years 7, 8 and 9. They are participating in a new intervention called ‘Lego Therapy’. This intervention involves students building on their communication and collaborative skills. 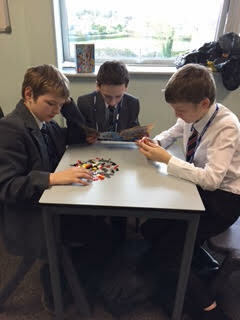 Working in teams of 3, the students have different roles and work together to create Lego masterpieces. The students are enjoying it so far and we’ve already been impressed by their creativity and perseverance. If anyone has any old Lego they don’t want anymore, our SEN department would be very grateful! 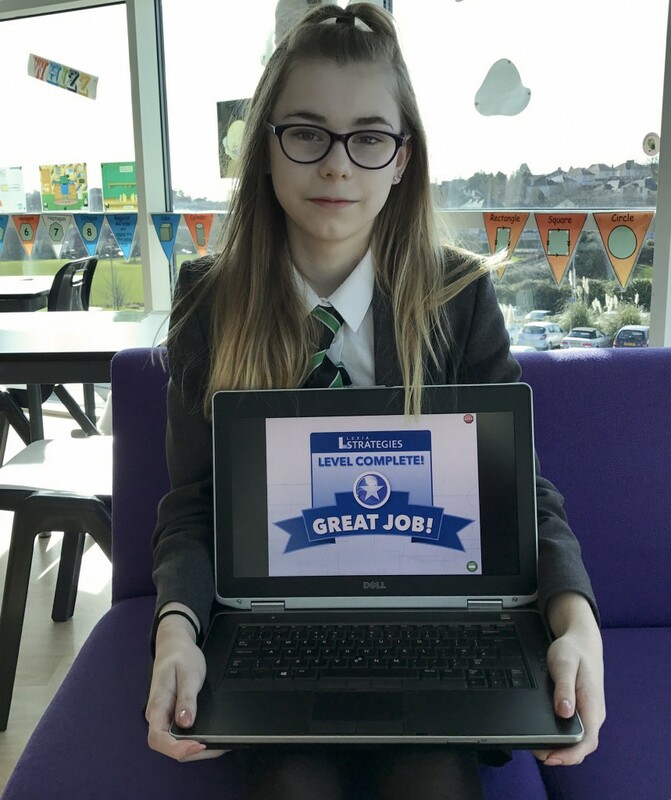 Our intervention centre is celebrating an amazing month, with a record number of students completing all 5 levels of our Lexia programme. Students work on various literacy skills including vowels, syllables, Latin and word root meanings. 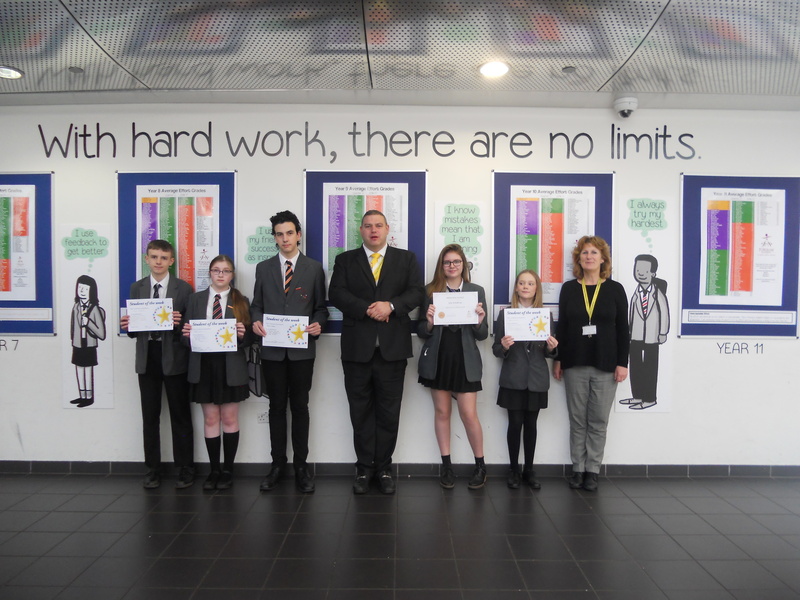 The dedication and hard work shown by students has seen their individual reading levels improve by an average of 3.6 years since September. 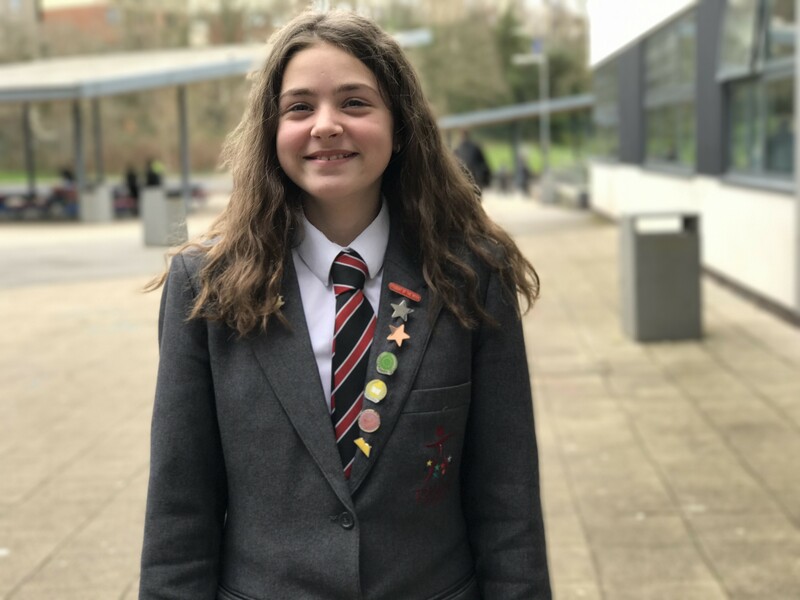 Recent finishers are Mateusz Baczynski (8), Oliver Brazier (8), Nathan Wright (10), Jacob Ford (10), Lucy Woolacott (10) and pictured Maria Gabl (8). Huge congratulations to them all. 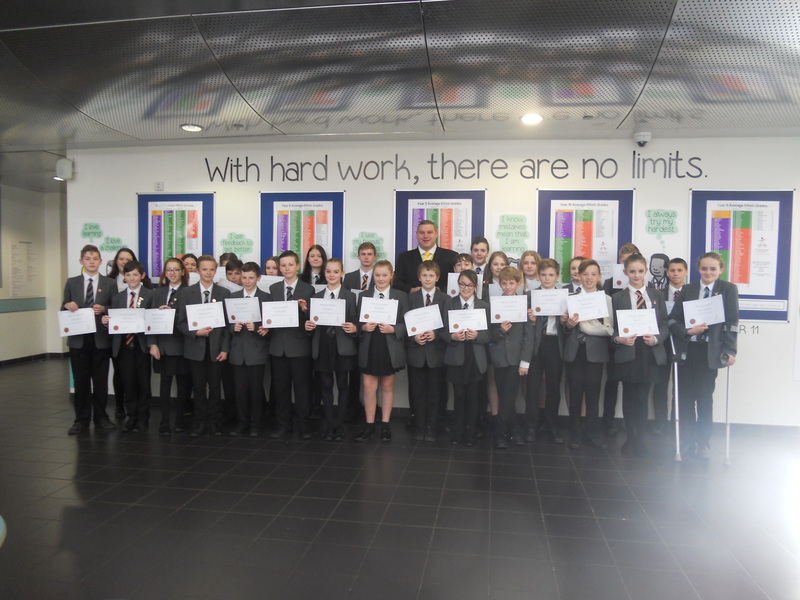 Again, a large number of Principal certificates handed out this week. The first of the Governor Certificates were handed out to Ellis Knowles and Kimberly Taylor. 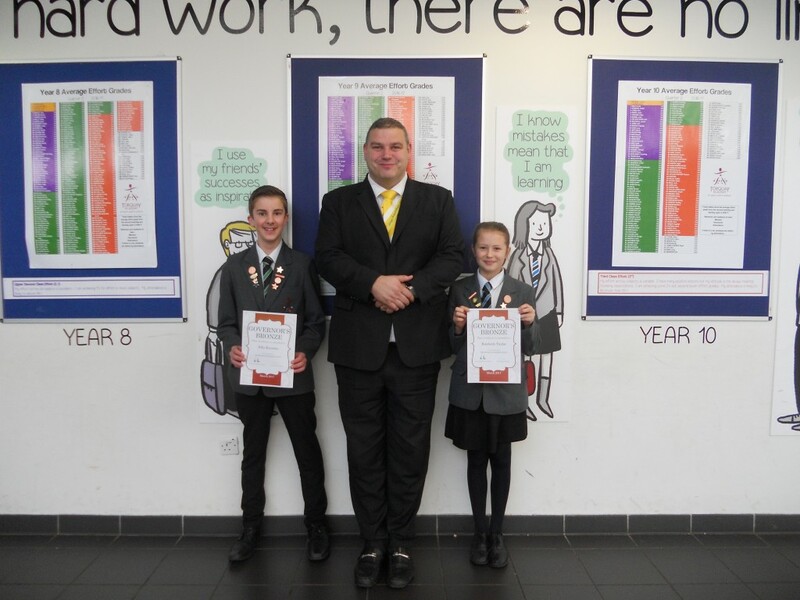 They have both received 250 praise points since the start of the year.